This is a dark brown (22-30 SRM) with a firm head of medium bubbles. the foam of the head is a rich tan color and last for a while. 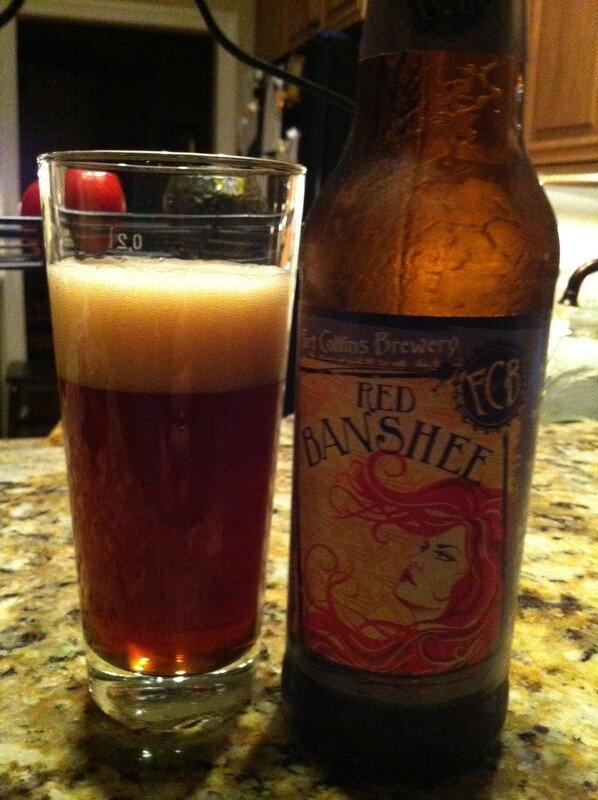 Red Banshee has a spicy and floral aroma, which leads to a slightly sweet taste with hints of malt. There is a clean after taste that does not inter fear with the taste of food. the brew has a slight earthy taste with a hint of hickory to me. I had Red Banshee with a rib-eye stake and baked potato and it did well. The brewery recommends paring with Cuban sandwiches or Po-boys. Overall impressions: are pretty good. The beer is good with a meal and will work with BBQ beef or pork. I would say it is to heavy for a fish main course. Fort Collins Brewery , Fort Collins, CO.